Hello creatives! Love is in the air this love month so we wanted extend some with you guys through an amazing set of vectors all for free! 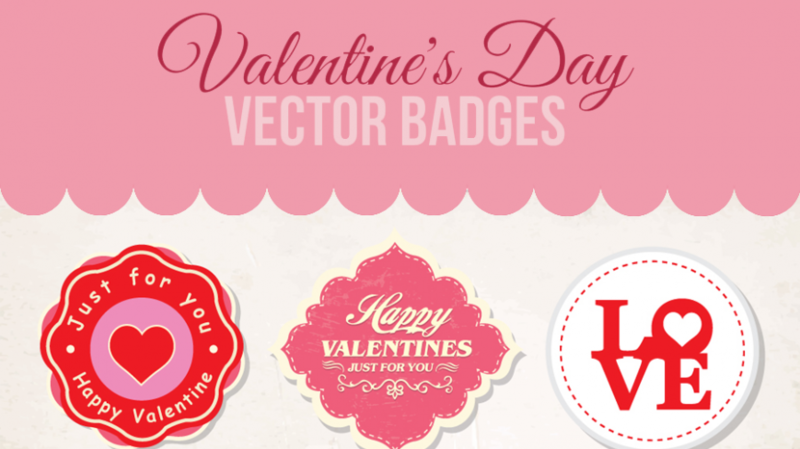 Today’s featured freebie is a sweet collection of Valentine’s Day vector badges perfect for your projects this season of love. If you’re looking for graphics to incorporate in your V-day postcards, greeting cards, brochures and posters, this set of badges might just all you need! Special thanks to Niño Batitis for providing this awesome vector pack! Download this amazing vector set by clicking the button below. How would you guys use this pack in your designs? Tell us your thoughts and suggestions in the comment box below. Stay creative everyone!